Still experiencing slow speed when using your TELUS Boost Wi-Fi? If you are installing your TELUS Boost Wi-Fi system and have no available LAN ports to plug your first booster into your modem, you will have to unplug one of the occupied LAN ports. Note: If you are an Optik TV customer, keep your set top box (STB) plugged into your modem to maintain your TV service. Devices that you may unplug instead include computers, printers or other personal devices that can be connected via Wi-Fi instead of an Ethernet connection. If all of your ports are full and you do not wish to unplug any of your devices, we recommend purchasing an Ethernet network switch at your preferred electronics retailer. What color light do you see? View explanations of Wi-Fi booster light colors and troubleshooting below. Check if the power cable is plugged into the booster and power outlet. Press the power button on the back of the booster to turn it on. Your Wi-Fi booster is not connected to the network. No action required. Your Wi-Fi booster is starting up. It may take up to two minutes for your Wi-Fi booster to turn on. This process is complete once the LED is a solid blue. Your Wi-Fi booster software is updating. Do not turn off your Wi-Fi booster during this time. The LED will turn solid blue when finished. No action required. Your Wi-Fi booster has a good Wi-Fi or ethernet connection. No action required. Your Wi-Fi booster is connecting to your home network. This process will take approximately 10 seconds. Wi-Fi Protected Setup (WPS) mode. Within 2 minutes of pressing the Wi-Fi booster’s WPS button, press the WPS button on the device you wish to connect. Your Wi-Fi booster is working but has a poor signal. Moving it closer to the Wi-Fi booster that is connected to your modem could optimize performance. If your boost does not appear to be working try the following steps. 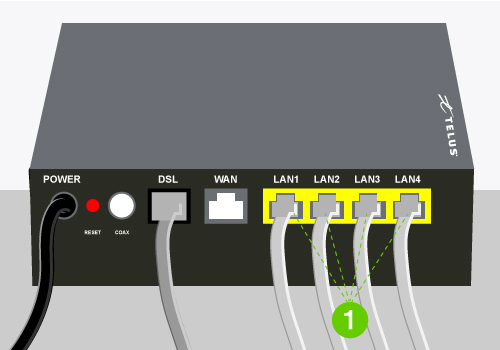 Check that your modem is set up correctly and powered on. If you are experiencing modem issues visit Can't connect to the internet for more information. Check that your first booster is connected to your modem with an ethernet cable. When the power is on the LED light on the front should be illuminated. If your second booster is not pairing with the master booster next to your modem, try moving it closer, ideal range from the master booster is 12M / 40 ft. Try restarting your boosters, unplug the power and plug it back in. If you continue to have problems, try restoring to factory settings, using a pin or paperclip, press and hold boosters reset button for 5 seconds. Note: factory resetting your booster will revert your network name and admin password to what is on the back of the boosters. If the above does not resolve your issue contact us for further assistance. Move closer to your nearest Wi-Fi booster. Ensure the LED of your Wi-Fi booster is solid blue. If the light is not blue, please refer the above troubleshooting section. On the back of your booster, press the power button located at the bottom right to reboot your Wi-Fi booster(s). If you are still experiencing slow speeds, it may be because your modem’s Wi-Fi network is still running in the background and causing interference with your Boost Wi-Fi network. 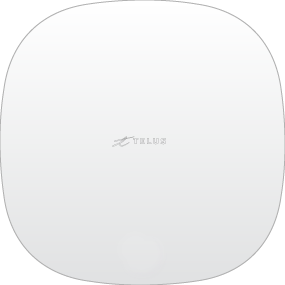 This background Wi-Fi network creates congestion on your TELUS Boost Wi-Fi network. The congestion can be reduced by turning off the Wi-Fi that is being emitted from the modem. Learn how to turn off the Wi-Fi network on your main modem.